Health Business Services (HBS) is the business division of the Health Service Executive (HSE). Since 2014, HBS has been mandated to provide its services across the full HSE health portfolio and is the global business services provider for all publicly funded health and social care services in Ireland. The current HBS strategy aims to significantly modernise the operational infrastructure that supports continually evolving frontline health and social care services, through delivery of business-critical support services across Finance, HR, Procurement, Estates and HR/Payroll Systems & Analytics. “To support our current three-year strategy, HBS is improving its business partnership approach through the introduction of customer relationship management software to transform key service elements through digital technology.”, said Kevin Kelly, Digital Lead at HBS. Following a comprehensive public procurement process during 2017 using the Multi Supplier Framework Agreement for the Provision and Implementation of a Customer Relationship Management (CRM) Software Solution, the Microsoft Dynamics 365 based CRM and Case Management solution proposed by Sysco Software Solutions was selected. Sysco Software Solutions are a Microsoft Gold Partner and Ireland’s largest dedicated Microsoft Dynamics partner. 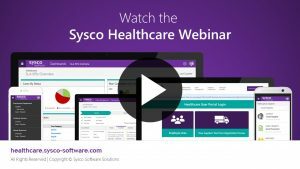 Sysco Software Solutions have accrued years of expertise in delivering projects of strategic importance within healthcare and wider public sector. 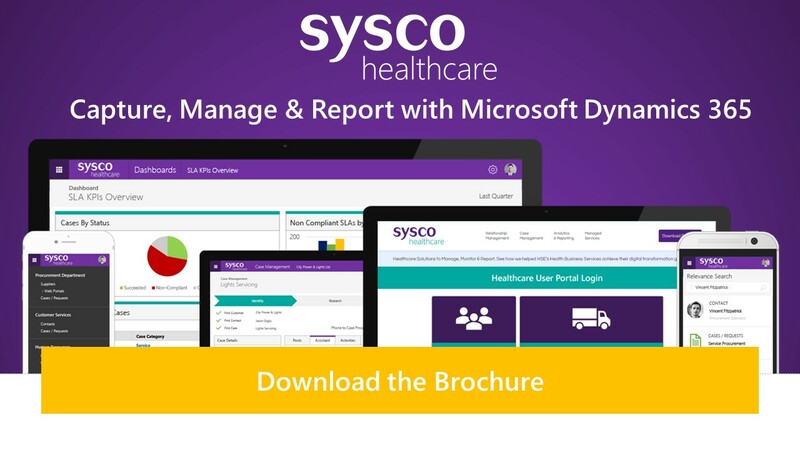 Sysco’s extensive knowledge of Microsoft Dynamics enables public sector organisations, such as HBS, to harness and modernise the management, monitoring and reporting of the data they collect. Sysco Software Solution’s key competencies include case and contact management, accounts and financial management and the creation of self-service web portals. “Sysco Software Solutions demonstrated a comprehensive knowledge of the technology and communicated how it would meet HBS’ stated business requirements.” said Kevin Kelly. The primary goal of the system is to facilitate an enhanced business model which is responsive to specific business partner needs, while providing HBS with a consolidated view of its customer interactions. In line with HBS’ ambition to digitally transform its business operations, Microsoft Dynamics 365 as implemented by Sysco Software Solutions will provide better accessibility for HBS customers and business partners to its business services, utilising self-service and mobile technologies. Sysco Software Solutions is one of the top 5% of Microsoft Dynamics partners worldwide and are Ireland’s largest dedicated Microsoft Dynamics partner for Customer Relationship and Enterprise Resource Planning Software. Health Business Services (HBS) is the business division of the Health Service Executive. HBS is mandated to provide its services across the full health portfolio and since its establishment in 2014 it has been the global business services provider for all publicly funded health and social care services.